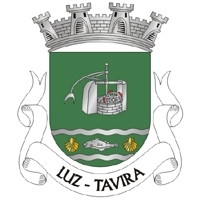 Luz de Tavira is a parish (freguesia) in the municipality (concelho) of Tavira in the eastern Algarve (Sotavento). In 2001 it was raised to village (vila) status and the name was changed from Luz to Luz de Tavira to differentiate it from Luz near Lagos. The houses of the ribbon-built village are located to both sides of the national road EN125, leading from Olhão to Tavira. The side door of the church, situated in the centre of the village, is a fine example of Manueline architechture. This style dating from the late Gothic uses lavish ornamentation featuring maritime and colonial motifs from the Age of the Portuguese Discoveries, and is found only in Portugal.